Development is a process and it takes years sometimes even decades. Every game that we are playing now had a history of being played differently and has evolved to its present form. This evolution is often caused by the influence of an external force and also in tune with socio-cultural changes. Just like all card games, Indian rummy too has interesting theories of its origins. 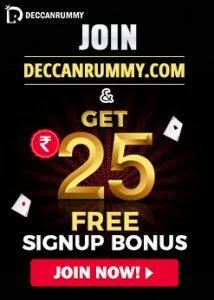 Deccan Rummy is constantly looking at ways to cater to the rummy players all across India. Festivals are always made double enjoyable here at Deccan Rummy with our Special Tournaments. We have an excellent track record of hosting grand events during Indian festivals which draws the best players from the Indian rummy circuit. Being aware of the buzz around the Indian festivals, Deccan Rummy has always upped the guarantees for the special tournaments. In keeping up with our custom of hosting big rummy tournaments during the festival, we announced a Special Tournament for Holi with a prize pool of Rs. 50000 GTD. What better way for a rummy player to celebrate the festival of colors than winning a majestic tournament? Holi and Rummy have a lot in common. The joy and vibrancy of both are unmatched. Right from the day, we announced the tournament, a lot of rummy enthusiasts started collecting their free tickets. Last Night saw the Holi Special Tournament 50K GTD played out at Deccan Rummy. The action started at 9 PM. The event drew a digital footfall of 678 players which was close to being a full house, with each aiming to win the big prize. Just like all the special tournaments, the action was power packed and solid. The battlefield was fierce with rummy players at all experience levels joining the hunt to win big prizes. Players with a proven track record were gunning ahead of the others in each round. 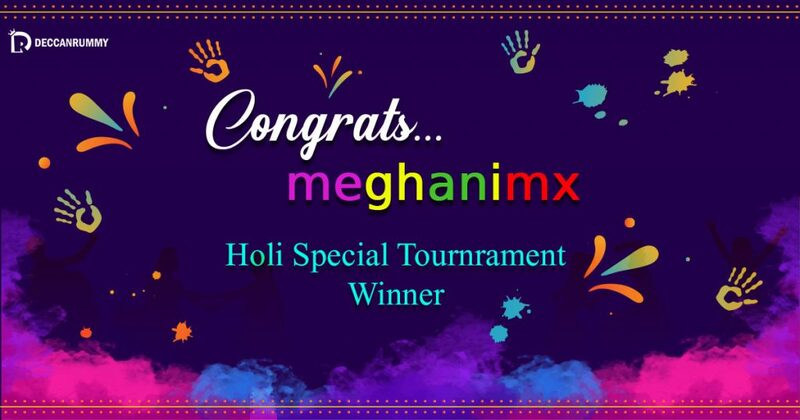 Just when we thought one of them is going to win the tournament, out of the blue, a new player “meghanimx” pulled out all tricks in her bag and managed to clinch the top prize. It’s the time of the year, every cricket fan reaches out for their bean bags, chips & drinks, go into a state of frenzy as the most exciting cricketing contest, Indian Premier League (#IPL2019) is making a comeback. As the curtains are up, we know what to expect -we are all set to witness a complete package of explosive batting, inspired bowling and mind-blowing fielding just like we’ve been doing so for the past decade. Also, as usual, there will a share of controversies, drama, and parties. It’s also the time of year various offers and promotion hit the market – From restaurants to bars to hotels to coffee shops, offers and discounts galore. IPL is the most watched T20 League and the second paying league after EPL in the global sporting league. At Deccan Rummy, we too have added a dash of excitement to the #IPL2019 with our Rummy Fantasy League. RFL is an exciting series of rummy tournaments that will be conducted on all match days. You can play this tournament with a low-buy-in of Rs. 10 and have a shot at the massive prize pool of Rs. 10 Lakhs. 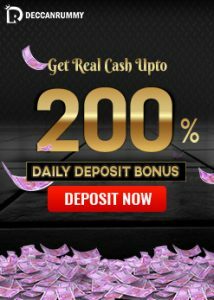 All the users have to do is play these tournaments every day and you have a fantastic opportunity to double your winnings. That is something everybody needed to know, correct? The response for it isn’t so straightforward. It takes huge amounts of hard work, tolerance and endurance to end up being one. Each player has goals of becoming an ace rummy player. Every player begins off being a tenderfoot i.e. on a equal footing. The voyage isn’t so easy. It has a lot of snags and the player needs to set himself up for a great deal of good and bad times. Right away, how about we get into 5 simple ways that will enable you to navigate effectively to the goal you aspire? You don’t need to play each hand! During instances where you get a bad hand, just fold! Rummy Pros fold more number of times than you expect them to be. They pretty well know win and losses are part of Indian rummy so they focus on ways to mitigate losses. And folding is one of the methods that they so often rely on. Folding doesn’t comprise as a cop-out! It ought to be viewed as savvy method of avoiding defeat. 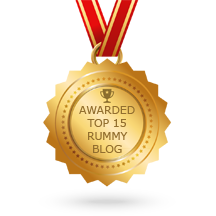 Ability to observe is one of the most essential skills that is required in order to be successful in online rummy. Watching each move of your rival will give you thoughts on the merges he’s endeavoring to make. If your opponent keeps picking cards regularly from the open deck, at that point you should realize that you are unintentionally helping him. Pause for a moment and rethink your strategy. Be more watchful in the cards you discard. Your mood plays a vital role in the outcome of skill games. Playing when you are lively and cheerful regularly yields ideal outcomes. On the other hand, when you play during instances where your state of mind is grim, you can’t give your full focus on the table so you are intensely inclined to botch. Make sure, your temperament is always up and your soul is high whenever you hit the tables. Things being what they are, would you say you are up to end up an incredible rummy player? We trust so! Come and amaze in our tables! Regardless of whether you like to play rummy free or rummy for money, we got you secured with a wide scope of games and tournaments.